A couple of weeks ago, I stumbled across a site with some absolutely breathtaking photographs of Roan Mountain, which is located near the North Carolina/Tennessee border. Even if it's not precisely the same place as where Fraser's Ridge is supposed to be located, it's definitely in the same general area, and Diana confirmed, when I asked, that it would be visible from Fraser's Ridge. Apologies to those of you who may have seen these already when I put the link up on Compuserve, but I thought the pictures deserved a wider audience. They are truly stunning. And for those of you who have never visited the mountains of western North Carolina, I hope this will give you a better idea of what the area is like. One of the things that has impressed me from the beginning about Diana Gabaldon's writing is her amazing vocabulary. I have always considered myself to have a reasonably good vocabulary; I'm a college graduate with a lifelong love of reading, but I frequently run across words in Diana's books that I've never seen before. What do you think of her use of unusual words? Do you keep a dictionary nearby when you read? Jot down words to look up later? Or does this sort of thing get in the way of your enjoyment of the story? Do you have a favorite example of one of these unusual words? Speaking only for myself, I love it when I encounter words like these in Diana's books. The really bizarre ones always make me laugh. Thanks very much to Merrymags at LOL for putting the word out! 3) Diana does indeed intend to publish an OUTLANDISH COMPANION VOLUME II at some point. The podcast includes a brief excerpt from the upcoming Lord John story, "The Custom of the Army". I enjoyed listening to this and I hope you will too. I definitely did not start out as a fan of Lord John Grey. 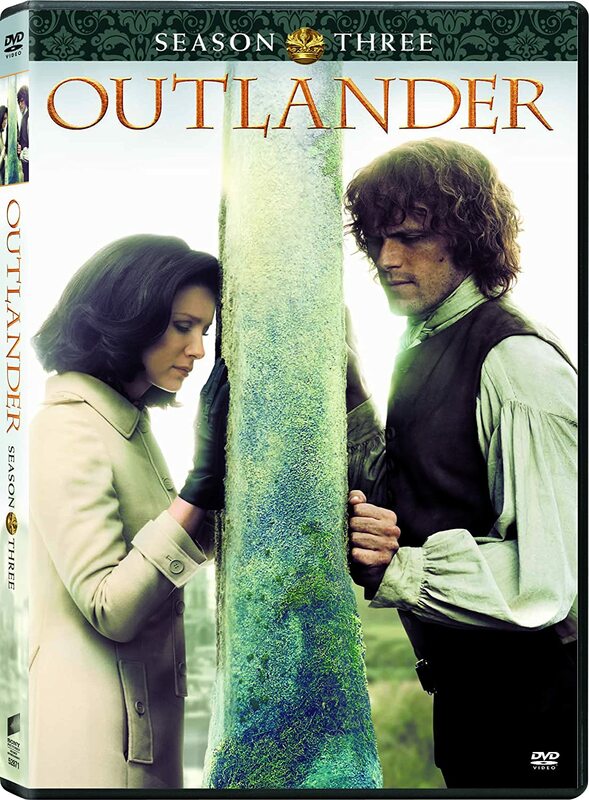 When I first started reading the OUTLANDER books, I was (of course) captivated by Jamie and Claire's story, and wanted to focus on them. Lord John kept popping up in the story, but I brushed him aside rather irritably, much as Claire reacts to him in DRUMS: "What is he doing here? I really wish he'd go away. I don't want to read about some gay English soldier, I'd much rather read about Jamie and Claire!" This attitude was compounded, in the beginning, by the timing. When I first discovered Diana Gabaldon's section of the Compuserve Books and Writers Forum, in the spring of 2007, virtually the only excerpts she was posting there were from LORD JOHN AND THE BROTHERHOOD OF THE BLADE. And at that time, I had essentially no interest in reading Lord John stories. I resented him for taking Diana's time and attention away from the main OUTLANDER series, and I just could not understand at all why she would prefer to focus on Lord John instead of Jamie, Claire, Roger, Bree, and the rest. Based on what I've heard Diana say in the months since, this seems to be a fairly common attitude among the fans: "I really wish you'd quit writing about Lord John and get back to your real writing." This usually produces an irritated reaction from Diana, *rolling eyes* or a mildly sarcastic comeback. And the reason for that is very simple: What the fans who make comments like that don't understand is that the Lord John stories are in fact an integral part of the overall OUTLANDER storyline, and that Lord John's life is inextricably tangled with Jamie's, in a number of ways. Lord John Grey and Jamie Fraser have a good deal in common. Both are decent, honorable men who will move heaven and earth to protect the ones they love, no matter the cost to themselves. They come from similar social and educational backgrounds; Jamie's facility with the Latin and Greek classics is every bit as good as Lord John's. They share a love of literature, and Lord John periodically sends Jamie books to add to his collection at Fraser's Ridge. And of course, they both have a military background, although they were fighting on opposing sides (as during their first meeting, at Prestonpans, in DRAGONFLY IN AMBER). They understand one another very well indeed, and this is one of the things that has enabled them to form such a close friendship. To people who don't understand how Lord John thinks (as Brianna certainly does not), this whole exchange is rather baffling. Why in the world would he do such a thing? The answer, of course, is that he loves Jamie Fraser. In his own way, John loves Jamie as passionately and as devotedly as Claire loves him -- even as he knows full well that Jamie cannot, will not, ever acknowledge his feelings openly. I think this is the key to understanding what Lord John means to the OUTLANDER series as a whole, and to Jamie in particular. Their relationship is complex and multi-layered, and I've come to find it very intriguing. For those of you who have not read any of the three Lord John books (LORD JOHN AND THE PRIVATE MATTER, LORD JOHN AND THE BROTHERHOOD OF THE BLADE, and LORD JOHN AND THE HAND OF DEVILS), I would highly recommend starting with BOTB. It's the best of the three books, in my opinion, and gives a great deal of insight into how Lord John thinks and what motivates him as a person. PRIVATE MATTER is by far the weakest of the three Lord John books, in my opinion. It's the only thing I have ever read by Diana that I have to force myself to keep reading. Still, parts of it are enjoyable, and I certainly wouldn't dismiss it entirely. HAND OF DEVILS is a must-read for Lord John fans. "Succubus" is a fun story, with lots of humor in it, and "Haunted Soldier" picks up right where BOTB left off. I don't care for "Hellfire" very much, but it's so short that ignoring it won't interfere with your enjoyment or understanding of the other Lord John stories. I would encourage anyone who likes Diana Gabaldon's writing to at least give the Lord John books a try. You may be surprised! Well, all right, to be honest, I'm just addicted to the series, period. In whatever form. 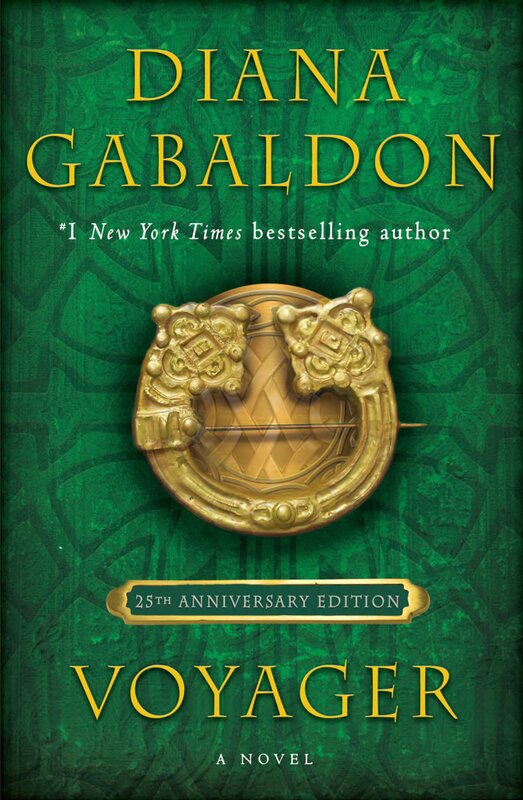 [g] But I wanted to share some thoughts on the unabridged audio versions of the OUTLANDER and Lord John books, which I've now been listening to almost daily since about April 2007. First of all, if you don't know what the unabridged audio versions are or where to get them, go to Diana Gabaldon's web site, which explains it all in detail. 1) They force you to sloooow doooown [g] and take in all the details. I have always been a fast reader, and a "skimmer". I missed huge chunks of Good Stuff the first time around, particularly in DRAGONFLY, because I was reading much too fast. (Example: "Wait, you mean to tell me Claire lost the baby? When did that happen? Did I miss something?" [frantically flipping back through the book]) Because the audiobook narrators read Every Single Word, you learn to slow down and listen for the smaller details, the subtleties, the lyrical descriptions that skim-readers like myself often breeze right past. Slowing down has enabled me to see things in Diana's writing that I never would have picked up on otherwise, no matter how many times I re-read the books, because I just read too fast. Jeff Woodman, narrator of the Lord John audiobooks, is also a wonderful reader. I love his voices for Lord John, Hal, Tom Byrd, and Harry Quarry. He doesn't do so well (understandably enough) with the female voices, but overall he does a good job. I experimented for a while with listening to the audio CD's while driving back and forth to work. It works out pretty well, especially if you are sitting in traffic, but I would recommend caution if you are listening to one of the really emotionally intense parts of the books! One day last fall, I was driving home while listening to the scene in OUTLANDER where Jamie is being given last rites. I suddenly found myself half-blinded by tears, still driving down the road, about a mile from my house. I got home without incident, but it was a pretty scary experience. But the voice Davina Porter uses for him in the audio version sounds, to my American ears at least, like a Liverpudlian or something. [g] Certainly he doesn't sound like a man born and raised in the U.S. This first picture comes from the apothecary shop in Williamsburg. There was a small room off the main part of the shop, roped off so you couldn't get inside. The medicine chest with the little drawers looks exactly like the one that Jamie gives Claire as an anniversary gift in DRUMS OF AUTUMN. [g] My parents didn't understand my excitement at seeing it, until I explained where I'd seen one like it before. Can't you just imagine Claire sitting here? This picture is a closeup from that same firearms display. What caught my eye here were the devices for molding lead balls. I think maybe the smaller one with the wooden handles could be similar to the one Jamie uses in ABOSAA, when he's talking with Major MacDonald. And notice the bayonet in this picture. That blade looks really dangerous, doesn't it? 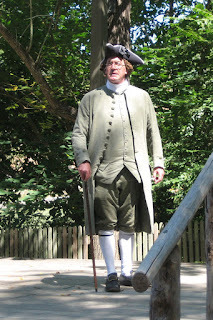 This picture was taken just after our arrival in the historical section of Williamsburg on our first full day there. 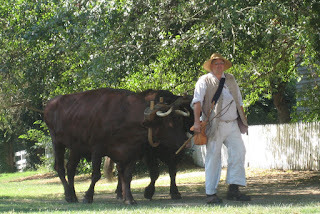 We saw this man leading a pair of oxen across the street almost directly in front of us. (Definitely a sight you don't see every day!) There are in fact a pair of them in this picture, although you can't really tell unless you look closely. I like the way the ox is looking directly into the camera. And finally, here is a picture of Patrick Henry (no, he's not a relative of mine, though our family does like to jokingly claim him as a relation anyway [g]). We saw him do a 45-minute lecture and Q&A, and he was terrific! It was a great trip, and I hope you enjoy these pictures! 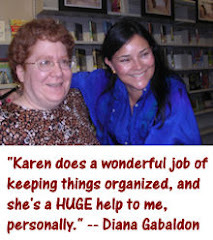 As some of you may have heard, over the weekend I was offered the position of Section Leader (SL) in Diana Gabaldon's folder on the Compuserve Books and Writers Forum, which is the online community where Diana hangs out. Naturally I was delighted (and rather stunned) that Diana and the other forum staff would think of me, and I accepted the offer with pleasure. Now, when you look at my posts on Compuserve that were created since the announcement, you will see a little picture of a gavel beside my name, which indicates that I am a member of the forum staff. So, what does a Section Leader do? The job was described to me as "a cross between moderator and janitor". [g] I can -- theoretically, as I'm only just starting to learn how -- move, edit, and delete posts, change thread titles, split off discussions into new threads, and so on. Basically, the idea is to keep the discussions from getting out of control, and also to free Diana from having to do these sorts of housekeeping functions herself -- so she can spend more time focused on finishing AN ECHO IN THE BONE [vbg], which she hopes to have completed by the end of the year. By the way, in case you're wondering, the forum staff are all volunteers. I know that some of Diana's fans view her Compuserve forum as a scary or intimidating place, especially for first-time posters. I understand why people feel this way, but I don't happen to agree. I hope to use my new position to make the forum a more welcoming place for newbies. And the fact that I've been given this opportunity just proves what I have said for a long time: you definitely don't have to be a writer (or even an aspiring one [g]) to participate in the discussions over there. Amazon.com's "Search inside this Book" function lets you type in a keyword and search the entire text of the book for all references to that keyword. It works better for single words than for phrases, but I've found it to be quite accurate. And in the case of the OUTLANDER books, it can be quite a time-saver, when the alternative is to try leafing through 900+ pages by hand! Unfortunately, ABOSAA and the Lord John books are not yet searchable. I asked Diana about this on Compuserve a few months ago, and she showed no interest in contacting either her agent or the publisher to get them to follow up on it. (Well, she is awfully busy....) Still, we'll take what we can get. 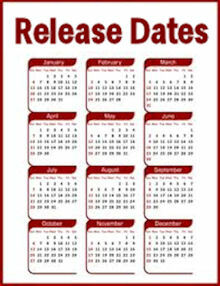 I hope you find these links as useful as I have. They don't (apparently) work for everybody, but it's probably worth a try. And if you have more search tips, feel free to share them. Yesterday on her blog, Diana Gabaldon posted this approximation of what the Jamie of her imagination looks like. I think he looks terrific, very much like the Jamie in my mental picture. I am delighted to see that his red hair is so close to my own hair color.